The call for the student mobility program Erasmus has been opened until December 21 in its KA-103modality, which makes available almost a group of forty possible destinations to the students of the European University of the Atlantic. Italy and Germany stand out among the new countries that the university has incorporated within the established agreements, as well as significantly expanding the availability of different training institutions in the Netherlands. But students of Computer Engineering or Industrial Organization Engineering will also be able to enjoy their Erasmus period in other destinations, such as Antalya Bilim University of Turkey, which also opens its doors to students of the degree in Business Administration and Management. Another university that may be interesting for those who want to opt for this period of study abroad is the Dún Laoghaire of Dublin (Ireland), since it is an English-speaking country. 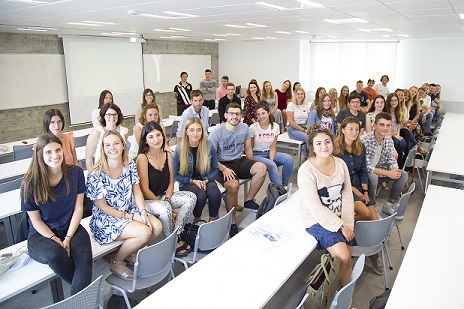 Throughout this course, about seventy students of the European University of the Atlantic have a period of student mobility within the Erasmus program, receiving a similar number of foreign students at the Santander campus. Those who wish to enroll in the Erasmus student mobility program must fill out the form of the International Relations Office of the European University of the Atlantic, and also provide a printed copy, a photograph and a document proving the level of English language.